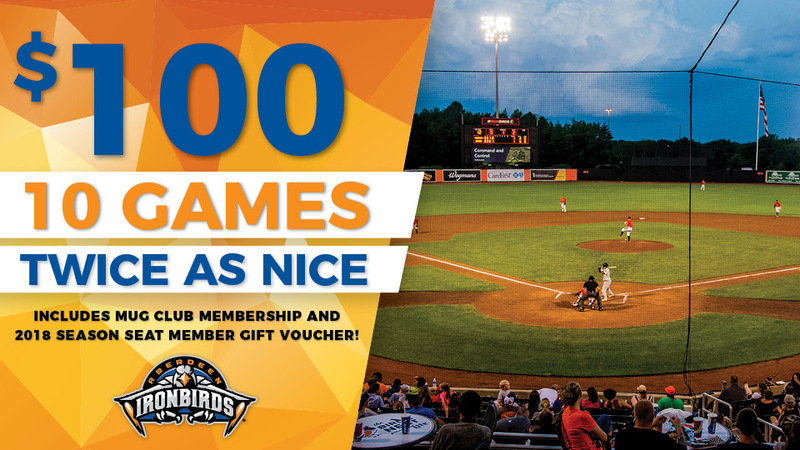 10 premium IronBirds games. 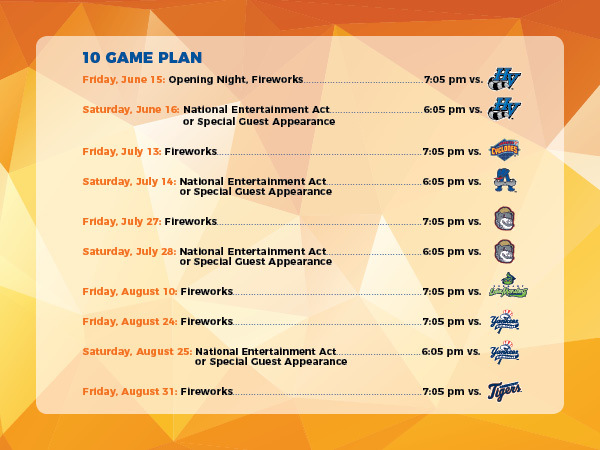 All games are on a Friday or Saturday night with either Fireworks or a National Entertainment Act/Special Guest Appearance each night. Your choice of any of our 2017 Premium Season Seat Member Gifts (Bill Ripken Bobble, Ferrous Bobble, Ripcord Bobble, or an IronBirds Phone Charger). The ability to fully exchange all of your tickets, with at least 48 hours prior notice. Early entrance into all of the games in your ticket package through our special Season Seat Member only gate. Our special IronBirds Mug Club cup, a 32-ounce refillable cup good for $2 refills all season long. One "Wild Card" voucher per account, entitling you to ANY of our 2018 Premium Season Seat Member gifts. *Please note, if you are unable to make one of the games in your 10-game plan, you can exchange your ticket(s) for ANY game during the 2018 season within 48 hours of the game that you exchange into, subject to availability.